9. 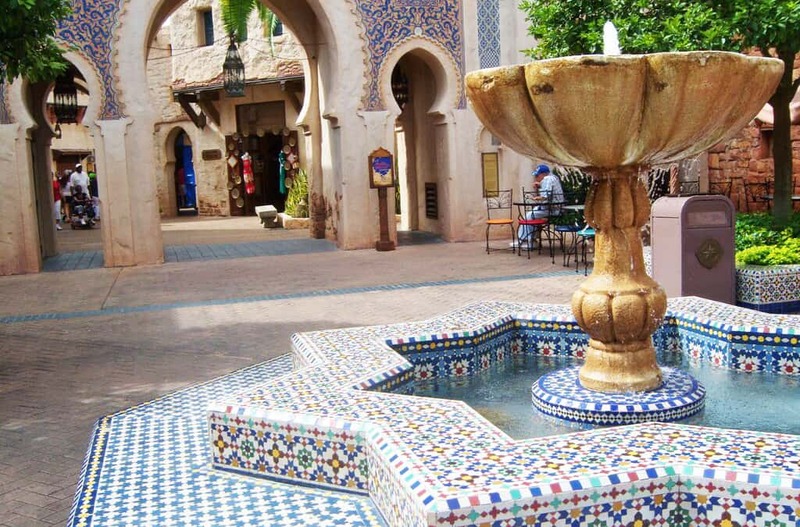 The Morocco pavilion is funded by the government of Morocco. There is no corporate sponsor for the Morocco pavilion. Rather, the government of Morocco provides 100% of the pavilion’s sponsorship. When the pavilion was being built, King Hassan II wanted everything to look and be as authentic as possible, so he sent nearly 20 of his royal craftsmen to work on the pavilion. You’ll notice that none of the artwork in the pavilion depicts living things because of the country’s predominant religious beliefs.